If you feel the need to happy feet, we’ve got some great danceable options for you. Some are glitzy, some are no-frills, but all are game to get you moving. This high-energy club inside the Grand Del Mar Resort draws vibrant crowds and a fair share of meat marketers. Come for the food, the outside seating, live bands (on weekends from 7-10PM), and DJs (10PMish-1:30AM), and you won’t be disappointed. Sometimes labeled a “cougar bar,” Club M draws big crowds of all ages looking for a good time in gorgeous surroundings. Jimmy O’s excellent location in the heart of downtown Del Mar, close proximity to the beach (and Del Mar Racetrack), and sport-bar vibe make it one of the most frequented good-time bars in the area. Patrons of all ages flock to its confines on the weekends to dance to ’90s-and-beyond rap and hip hop, so you get a diverse crowd, great tunes, and amazing people-watching. Been to the Atomic Groove happy hour at the Belly Up yet? The night starts early with a 5:30PM show, but Atomic Groove’s classic dance hits from the 60s to now give you the best workout and girl time around. The hysterical and energetic backup dancers alone are worth the $8 price of admission. The Belly Up is positively packed for these events, and you’ll love it. Afterwards, head next door to the Wild Note Cafe for dinner (you’re gonna need it). Called Saddle Bar in homage to its 1920s bike shop past, this historic building is just a few hundred feet from the ocean and about a mile from the Del Mar Racetrack. A favorite hangout before and after the races, Saddle Bar is also known for offering dancing to a mixed lineup of live music and DJs several nights a week. We got your dive here! Beloved and no-frills (at all), The Kraken delivers live music, a chill atmosphere, and cheap drinks. Locals and diehard fans flock to the dance floor on band nights and cut the (beer-stained) rug. Grab a table if you can – or a private booth for $400 bottle service later in the night (split it between 40 of you?). Alternatively, strike a pose and look cool just standing there. It’s easy when you’re in a place with a retractable ceiling, swank patio, and hipster DJs. If you’re lucky, you’ll score a well-loved booth with some lingering seat support. The Saloon has been around since the ’30s and the bathrooms look it, but if you want a dive bar with all that means (spotty service, dirty dancing, and lovable locals), then make this place a stop. DJs spin every Friday and Saturday night for epic nights on the town. Make your way over to this hip hangout for live music happy hours Saturdays, plus rock bands playing late on the weekends. All danced out? Peabody’s serves dinner until 1am. It’s a good idea to grab some food before you start dancing, so get your food and your groove at D Street for some proper bar cuisine before the DJs start playing from 11pm to 1pm on Fridays and Saturdays. This Carlsbad institution features food (try the rattlesnake eggs), karaoke, and live music/DJ dancing. Karaoke happens Monday and Tuesday nights, live music floods the patio until 10PM Wednesday through Sundays, and pop/hip hop-playing DJs play to an inside dance floor from 10:00PM-1:30AM Thursday through Saturday nights. Expect a various-aged crowd – although the younger set typically takes over after 11PM – and songs you love because that’s what great dance places are all about if you ask us. Get in line for Alley’s live house band, the Love Rangers, who play exclusively on Saturdays. You can also get your dancing bells on to a club/hip hop DJ on Wednesday through Friday nights – or sway to karaoke Sunday, Monday, and Tuesday. Visit this Carlsbad fun spot for dance floor bopping on weekend nights. Expect a mix of live music and DJ spins for lively twirling. Visit this Oceanside casino’s bar on “Sizzlin’ Saturdays” and dance to a DJ mix of hip hop, Top 40, EDM, and throwback jams. Get yourself to this O’Side fave and enjoy a little shuck and jive to local live bands. Hey, while you’re in O’Side, head to Firewater downtown for live music and dancing seven nights a week. Firewater Saloon also features pool tables, nightly drink specials, and a great selection of local craft, import, and domestic brew. Take in the Mexican food and panoramic ocean views on the roof at this three-level restaurant, then head to the basement for live bands and DJs. Or head right to the dance action at 9:45pm Saturdays for drink specials in the dance bar until 11pm. Bonus? No cover. This deliciously old school steak place gets dancey on the weekends. Live music plays to an enthusiastic, older audience after 8PM and offers some epic people watching. Carver’s is usually full of regulars and is also a cozy, fun place to dine. This lounge located right off the 15 at Scripps-Poway Parkway isn’t advertised as a dance bar, but it certainly turns into one on the weekends. Enjoy the chill atmosphere, full bar, and old-school DJ spins on weekends and good times across the board. 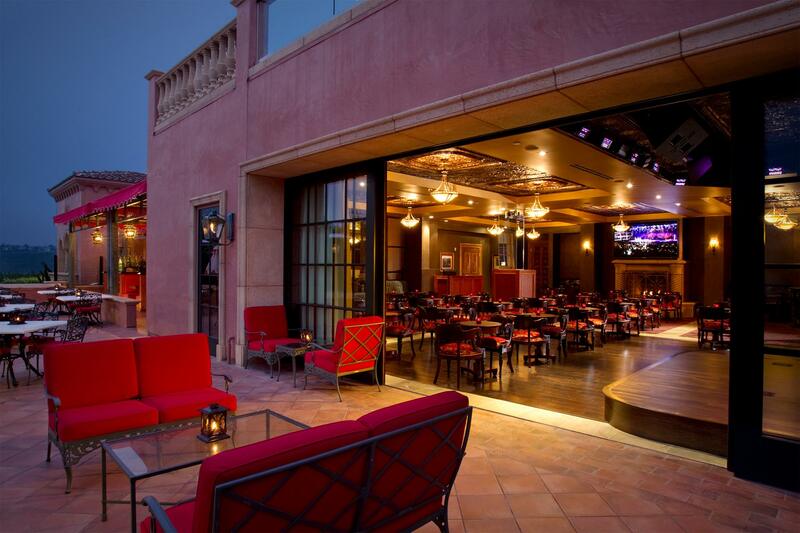 Also a cigar lounge with walk-in humidor and covered patio for smoking, Sanctuary gives undancey partners something to do while you groove to vintage Michael Jackson. Poway’s Irish Pub (formerly Patrick’s) is the ultimate down-to-earth, no-frills dance experience. The bar area is fairly small, but it doesn’t matter, because you’re off your duff dancing to rock ‘n roll and pop and hip hop cover songs performed by high-adrenaline bands. If you’re looking for a casual, but epic night out, Poway’s Irish Pub is your go-to dance place on the weekends. Yep, Pounders, A local little dive in Escondido, Pounders serves up a stage for live music and a small dance floor for getting crazy – and fair warning – it probably will. That’s the charm, right? Inland’s a great, casual place serving great cuisine, craft cocktails and DJ tunes for the dancin’ on the weekends. We’re still calling this North County even if Pechanga Resort & Casino is at the extreme north end of our region. Visit Eagle’s Nest for a night out – make it an overnight with a room at the resort! – with the club’s neon lights, big dance floor, and VIP seating with bottle service. (If you see a comedy show first – that’s on the first floor – bring your comedy club ticket for free admission to Eagle’s Nest.) Eagle’s Nest is located at the tippy top of the resort and you’ll need to show a ticket or flash your hotel room key for access to the elevator that takes you to the Nest. Where do you go to bring it?